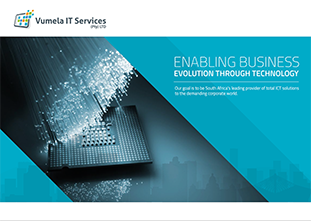 Vumela IT - Cost effective and reliable Network Infrastructure. Vumela IT Services offers a number of infrastructure configuration and support services. We work with our clients to determine the best solution for their business. We utilize best of breed hardware and software to provide a cost effective and reliable ICT foundation.